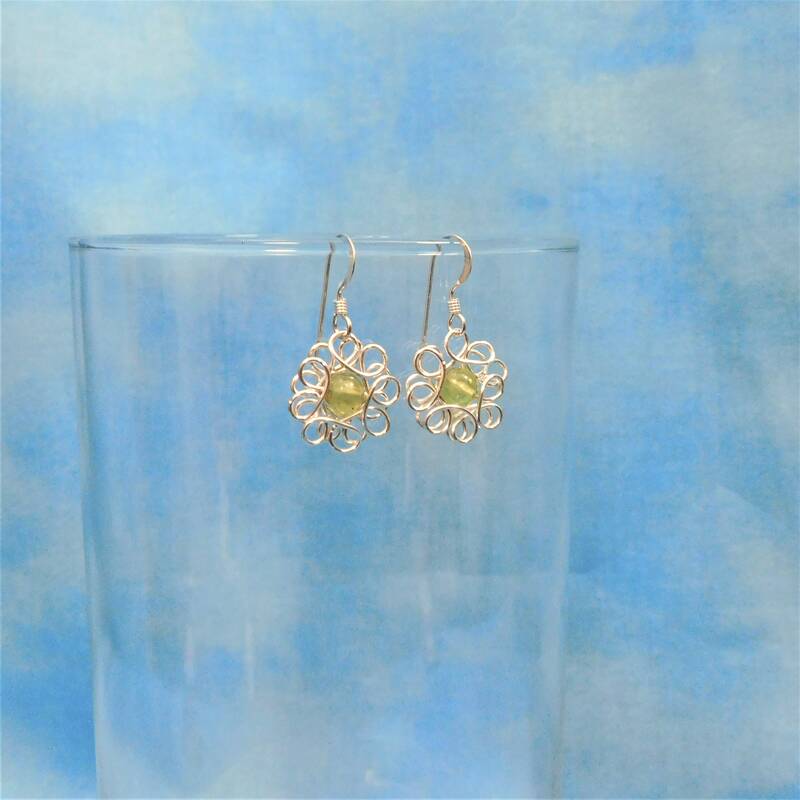 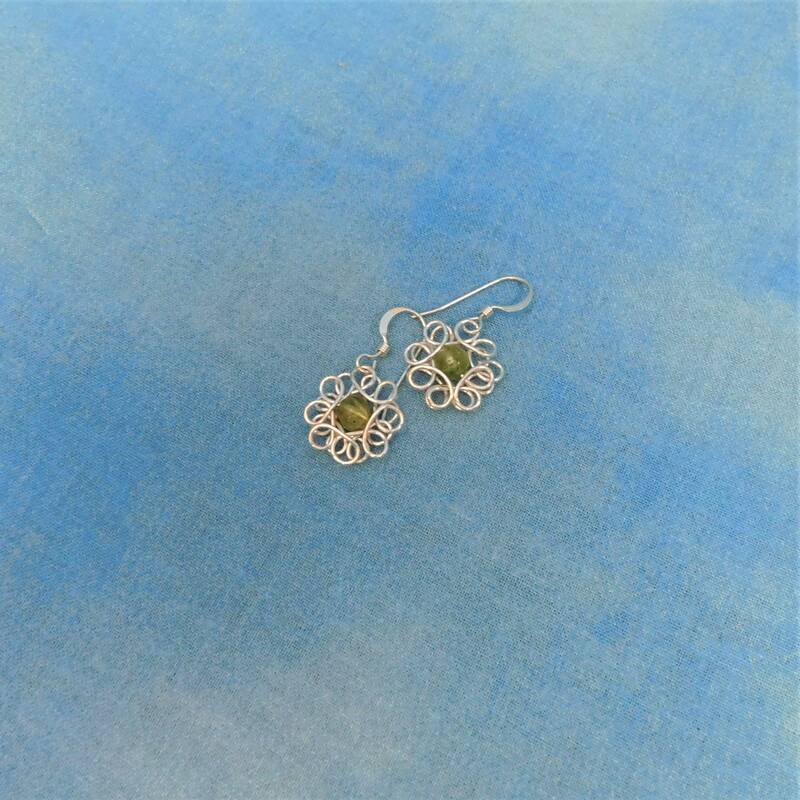 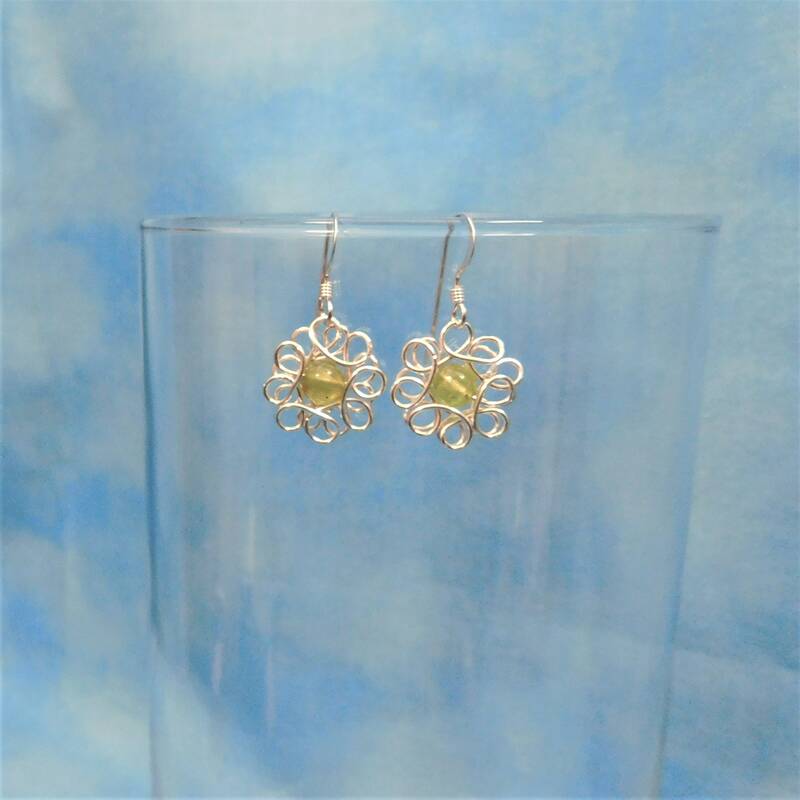 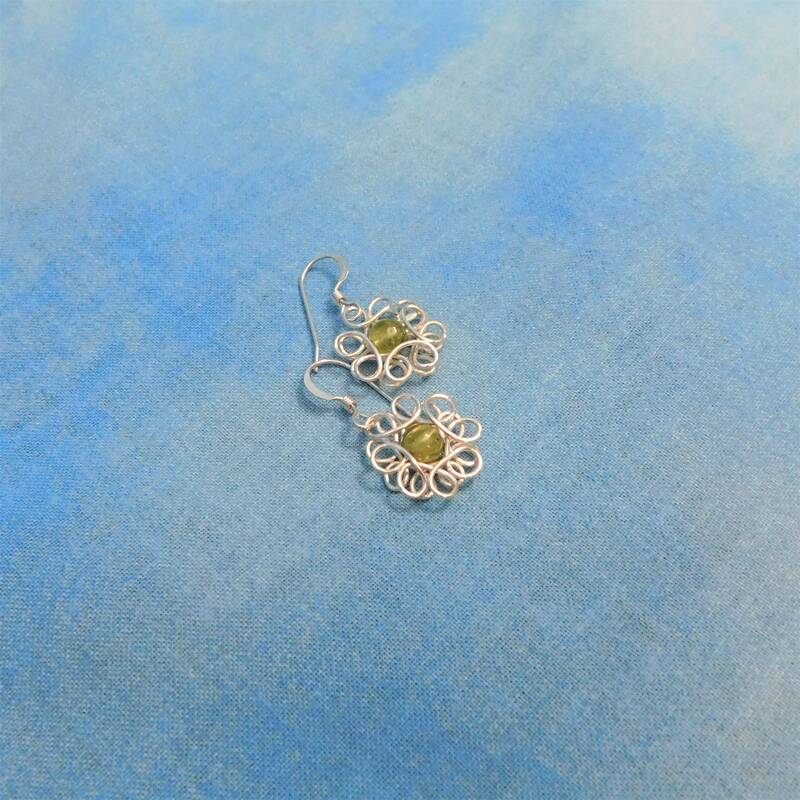 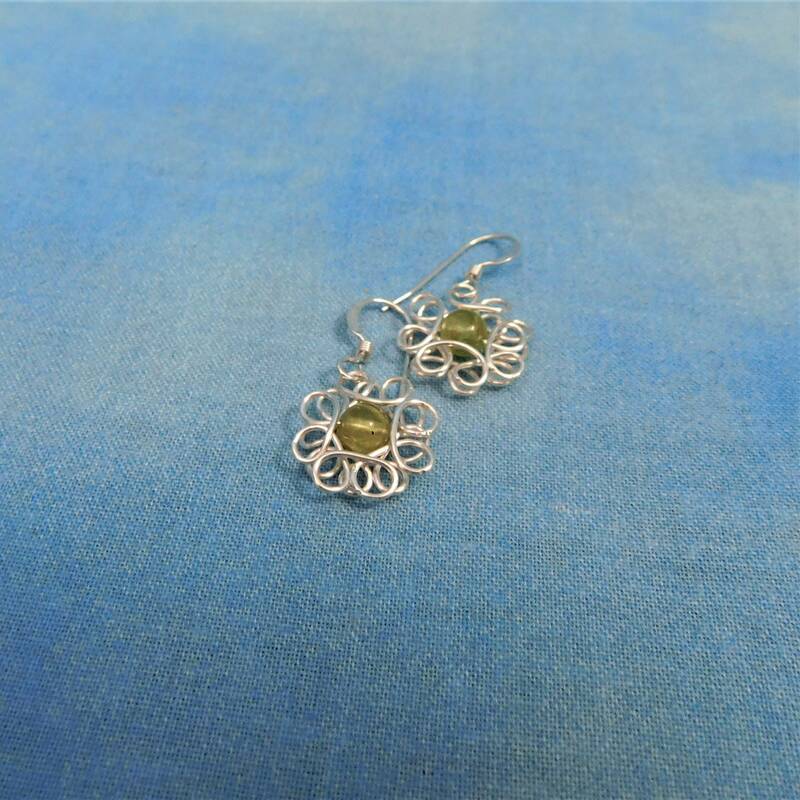 Tiny Peridot beads are sculpted into the center of two wire flowers, crafted from non tarnish fine silver over copper wire, and finished with sterling silver ear wires. 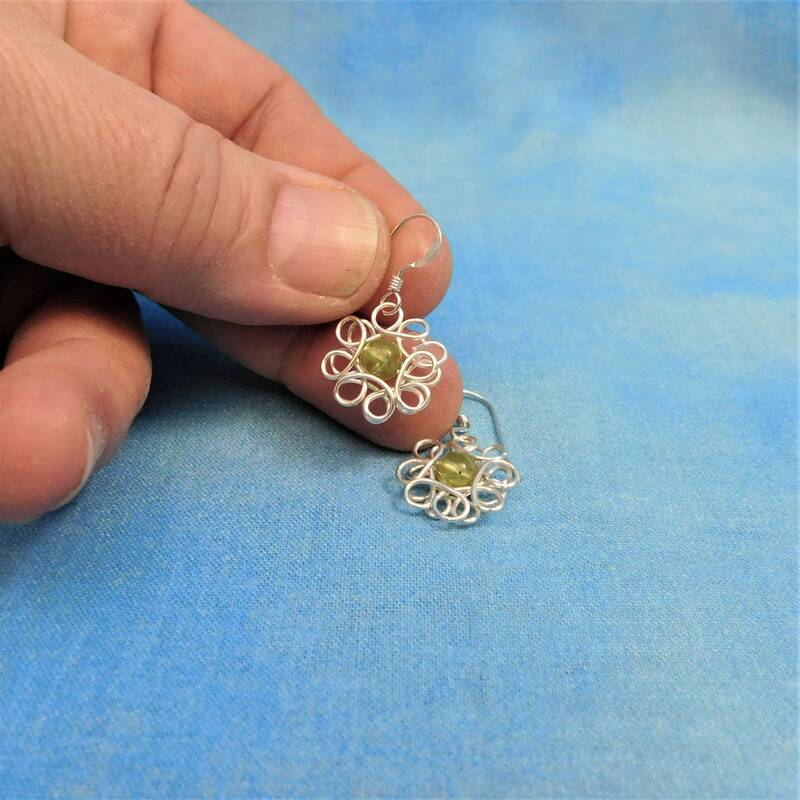 Each flower measures 1/2 inch. 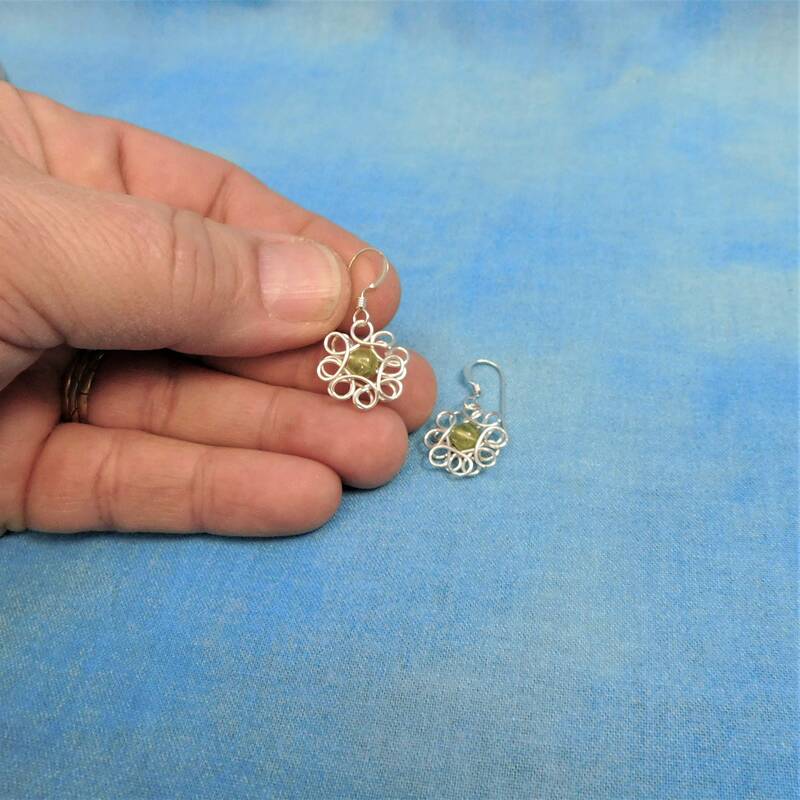 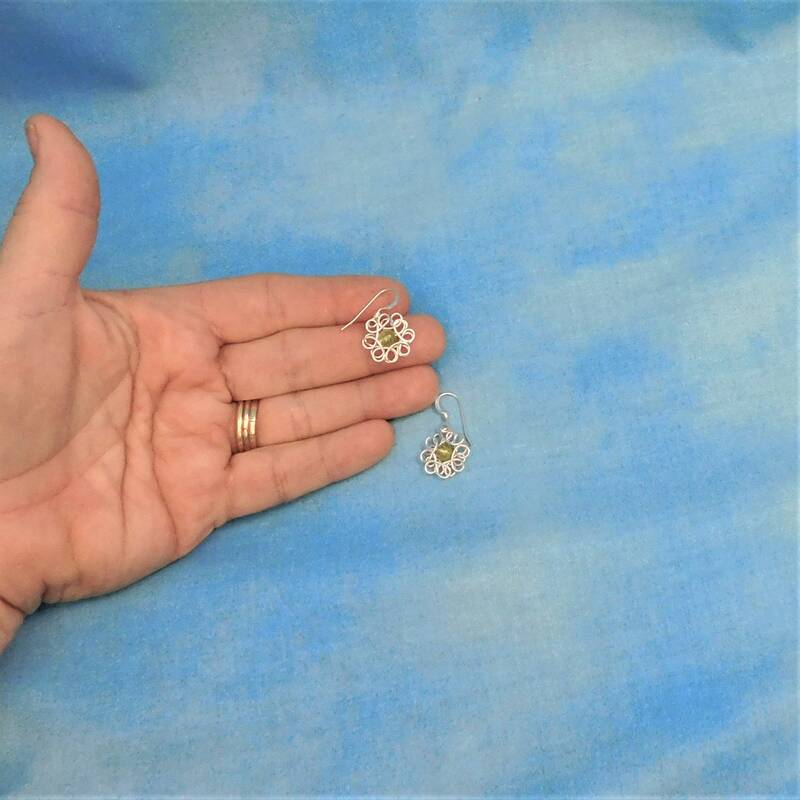 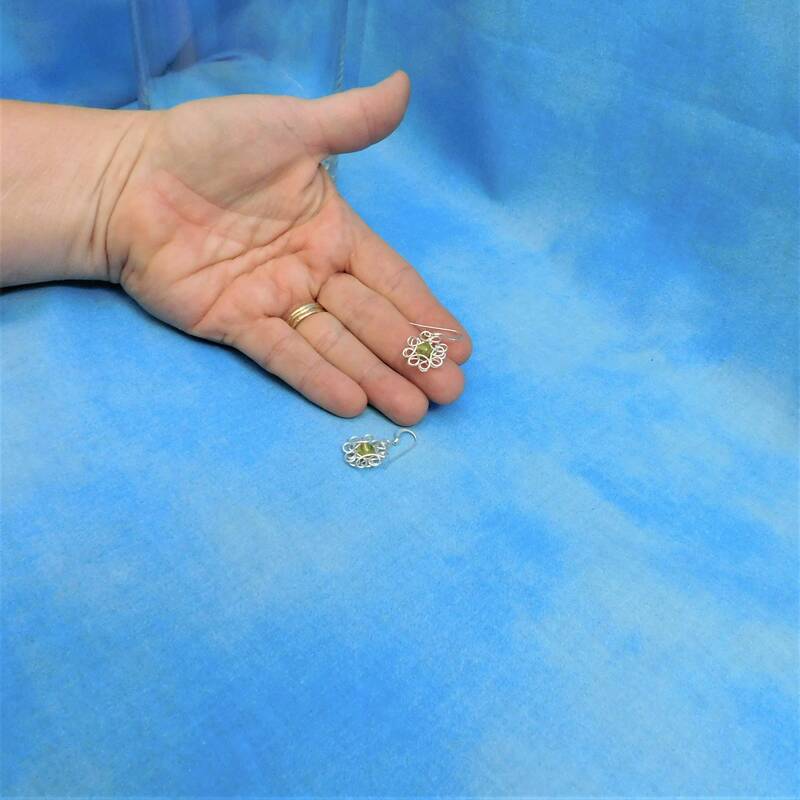 These tiny hand sculpted earrings are lightweight and comfortable. 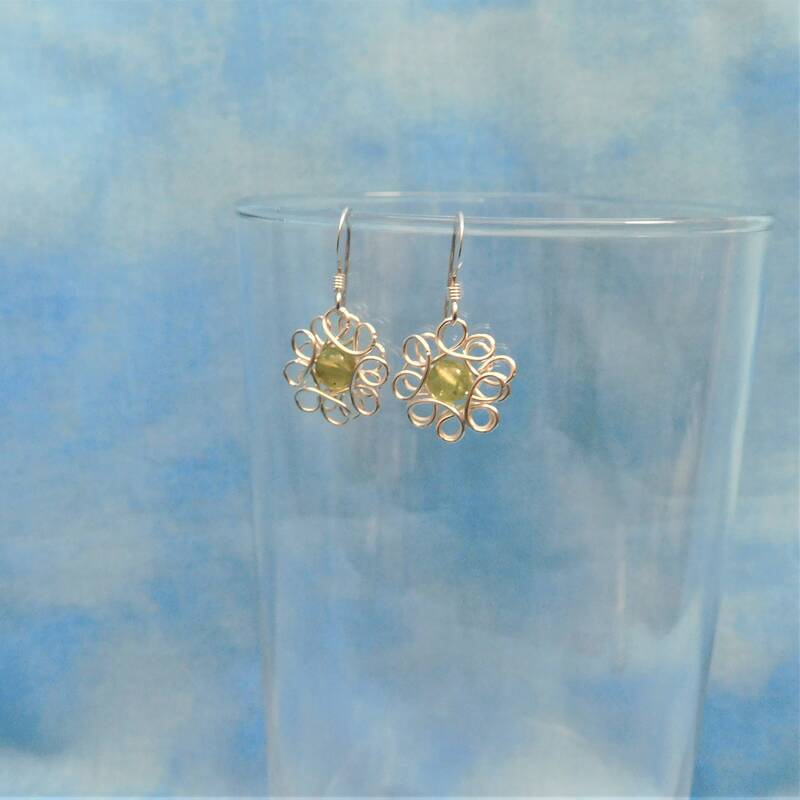 They will surprise and delight the woman in your life for any occasion.